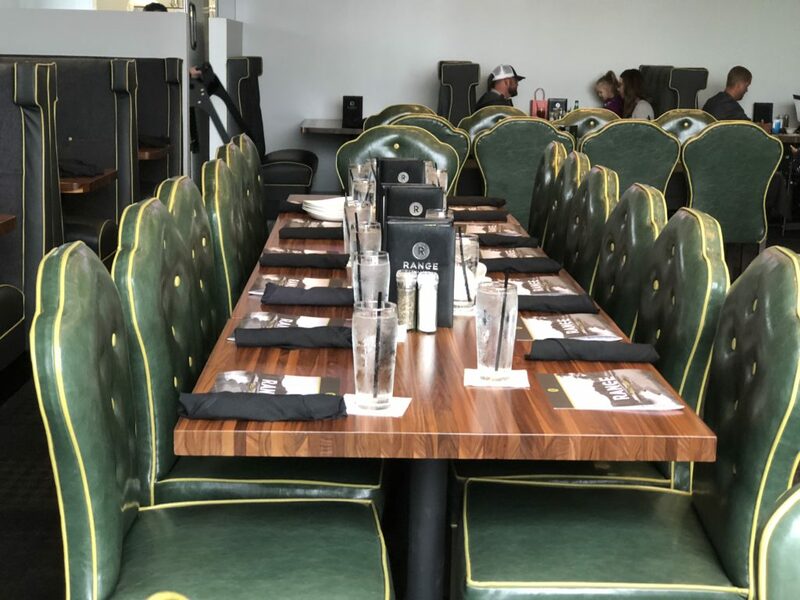 Range is a one-of-a-kind restaurant and entertainment venue located in the heart of north west Des Moines, Iowa. Range features a refined dining experience with a classy yet comfortable dining room that is available by reservation or walk-in. 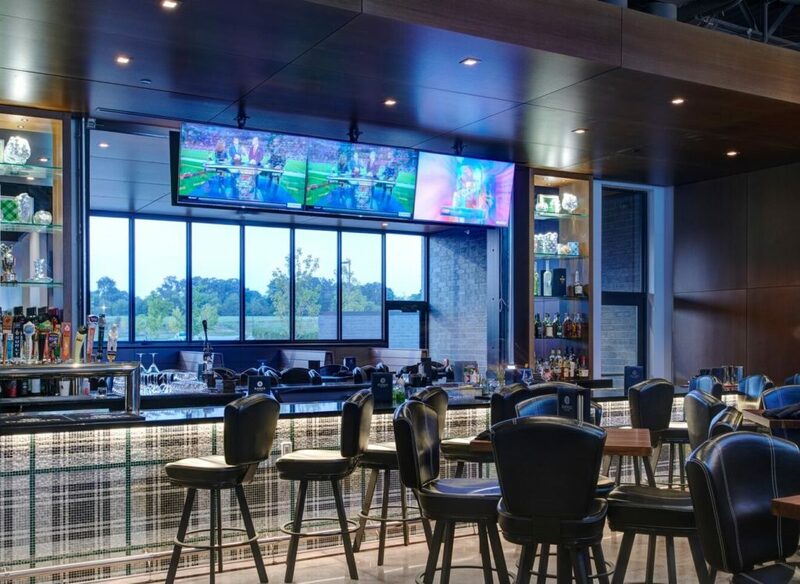 With three individual concepts that blend into a unique experience, Range offers patrons young and old an experience never before seen in Central Iowa. 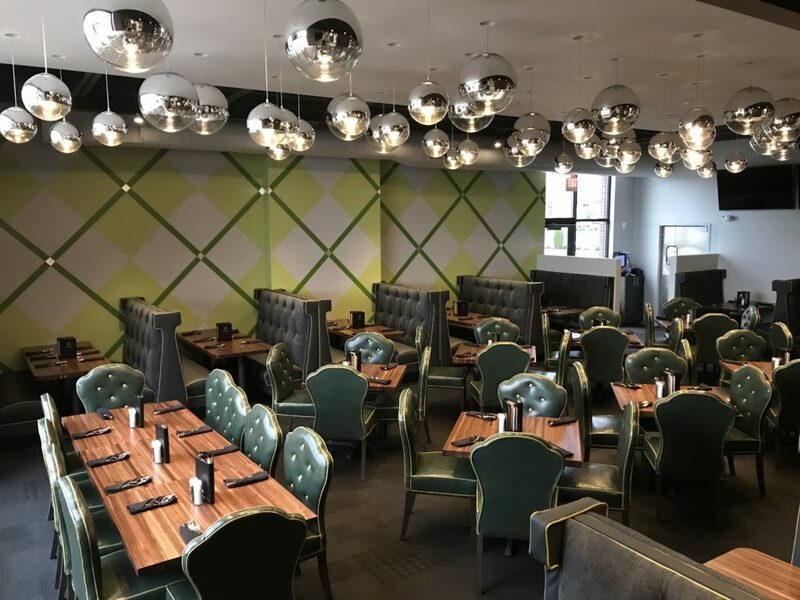 Range has an American cuisine restaurant featuring steaks, seafood, pastas, burgers, flatbreads, great appetizers, and entree salads. We pride ourselves on using the freshest ingredients sourced primarily local & from the Midwest. Range has a chic cocktail lounge that is double-sided serving both an indoor seating area and a 3 seasons screened in porch. Our bar has 24 beers on tap and an extensive cocktail menu. All bar and patio tables are open seating. Finally Range has a custom indoor golf center. In a private area of the building, we offer access to 6 state of the art indoor golf simulators adding an entertainment feature to our unique concept. You can enjoy any part of our facility individually or come and enjoy all aspects of Range Grill + Golf with friends, family, co-workers and teammates. You can dine in our restaurant, cocktail lounge or our golf simulators. We invite you to swing out and see what Range is all about!